Home › Cosmetic Dentist › Want To Perk Up Your Smile? To improve your smile, all you need to do is pick up the phone and make an appointment with Dr. Steven W. Haywood. A whiter smile can change your life significantly. Many of our patients feel more poised in personal and professional settings with their new, whiter smiles. White teeth brighten your smile and give you a reason to show them off. Who doesn’t need another reason to smile? We can help you lighten your teeth through a number of solutions that range in cost. 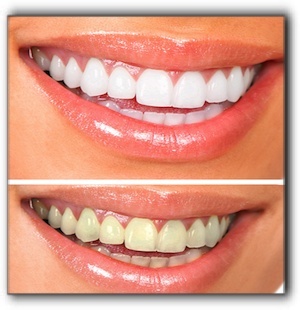 The least expensive teeth whitening treatments are those that you can do yourself at home. The quickest and easiest are the in-office professional teeth bleaching treatments. If you are interested in a sparkling smile, give us a call to make a teeth whitening appointment. The hardest part will be dialing the phone, and in no time we’ll have you smiling bright. Perhaps your teeth have additional issues besides dull color. We can help you with all types of problems, including missing teeth. The team of dental professionals at Dr. Steven W. Haywood in Timonium provide the full spectrum of general and cosmetic dental services. Make an appointment today.